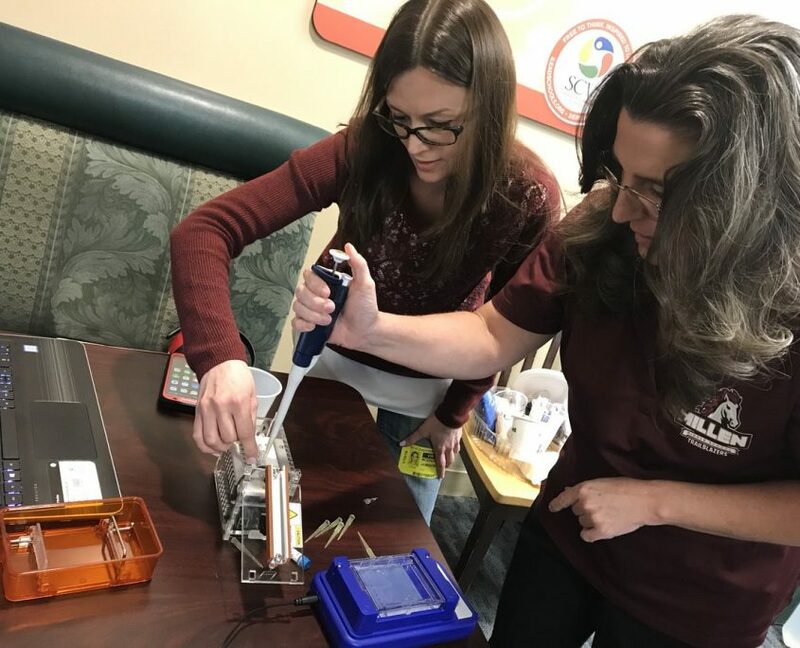 miniPCR curriculum director, Bruce Bryan, traveled to Southern California to train teachers in the use of miniPCR equipment and to spread the word about the Genes in Space program. As a bonus he, and the miniPCR, got to co-pilot a glider. 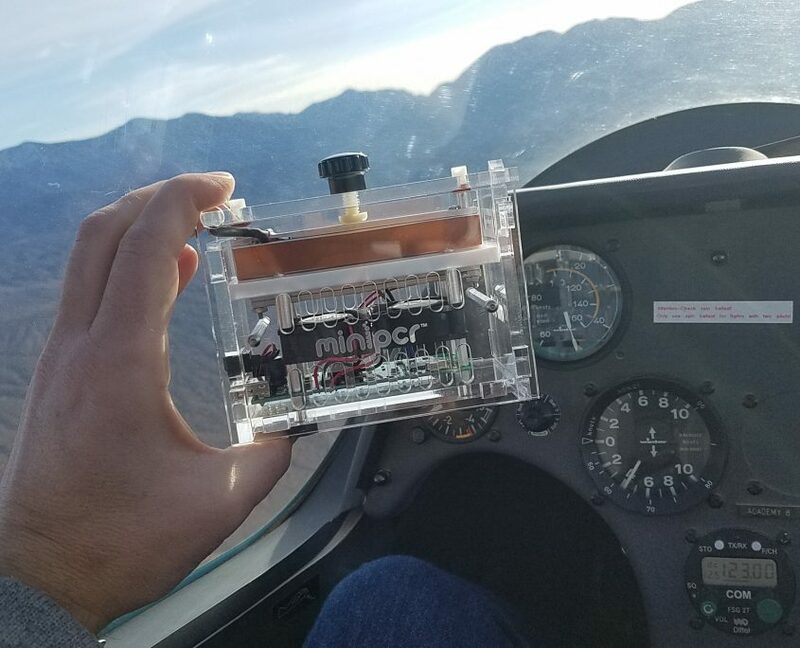 It wasn’t the highest miniPCR has flown, but it was the first time it sat in the cockpit. 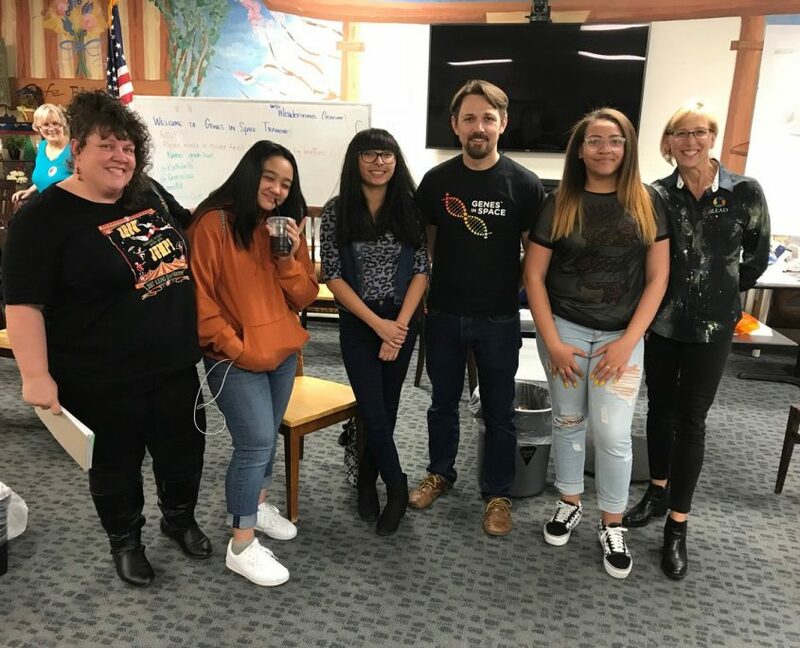 iLead schools, who hosted one of the workshops, is a group of charter schools operating in Southern California with a focus on project-based learning. 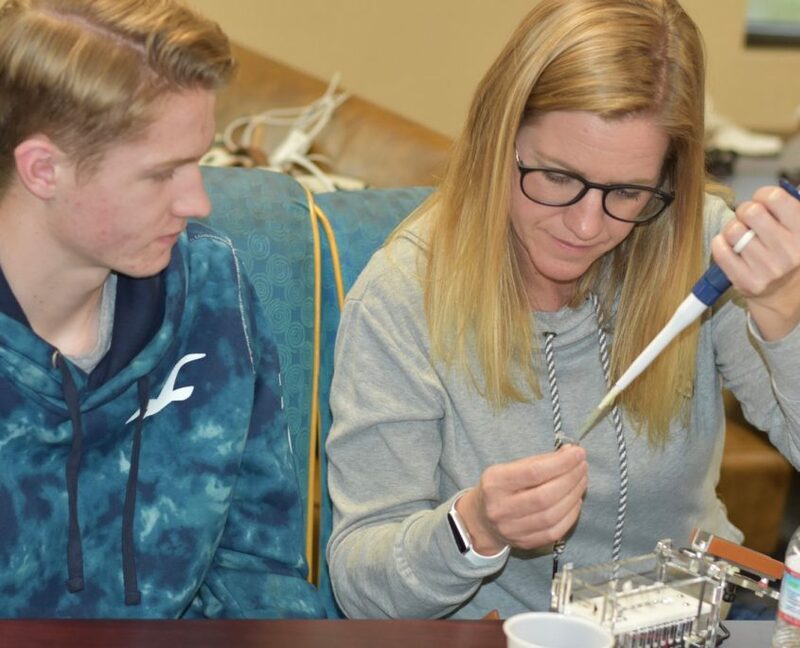 The Director of STEM initiatives at iLEAD, Kathleen Fredette, happens to also be in the final steps of training to become a glider pilot. 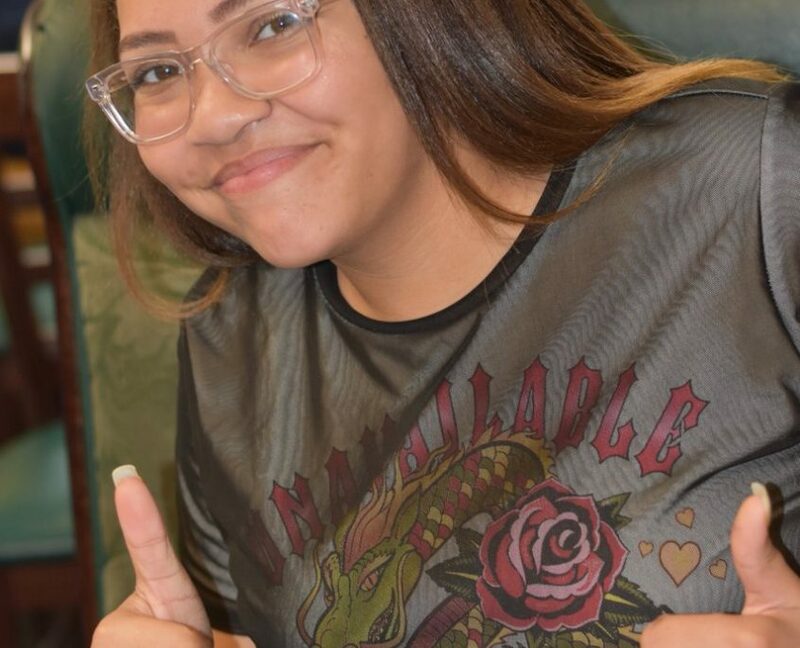 As part of a six week trans-curricular project-based learning experience, iLEAD eighth-graders took math and physics to the real world by learning to pilot a small aircraft. 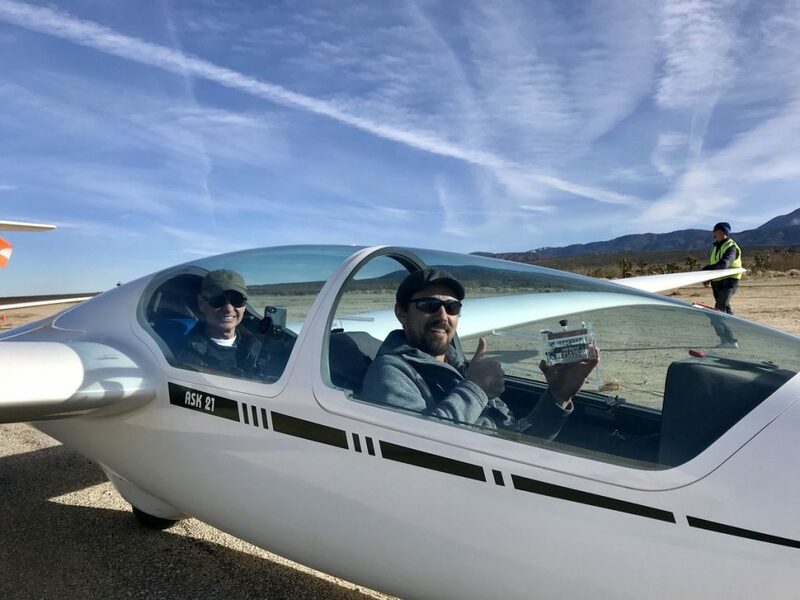 As a culminating experience, students traveled to the Southern California Soaring Academy, where they had the opportunity to co-pilot a glider with a trained flight instructor. Kathleen thought it would be a good idea to give Bruce a chance to join the iLead eighth graders, despite his having no flight training and only some rudimentary physics knowledge he had mostly forgotten. After one session on a flight simulator, which included a very sketchy landing, Bruce hopped into the cockpit to try his hand in actual flight. Kathleen’s husband, also a trained pilot, took Bruce up for some amazing views of the San Gabriel Mountains and a distant Edward’s Airforce base. 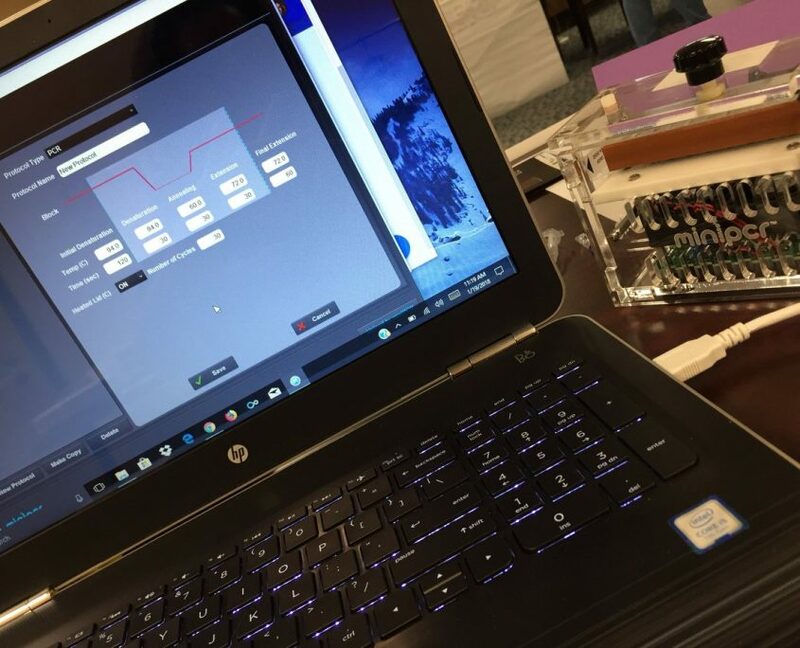 After taking a few shots of the miniPCR in flight, Bruce managed to pilot the glider in some large circles and figure eights. In the real glider, Bruce was not at the control for the landing, and things went much more smoothly. 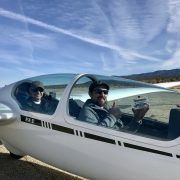 For Bruce it was his first time in Southern California, first time in a glider and first time as a co-pilot – not a bad day. 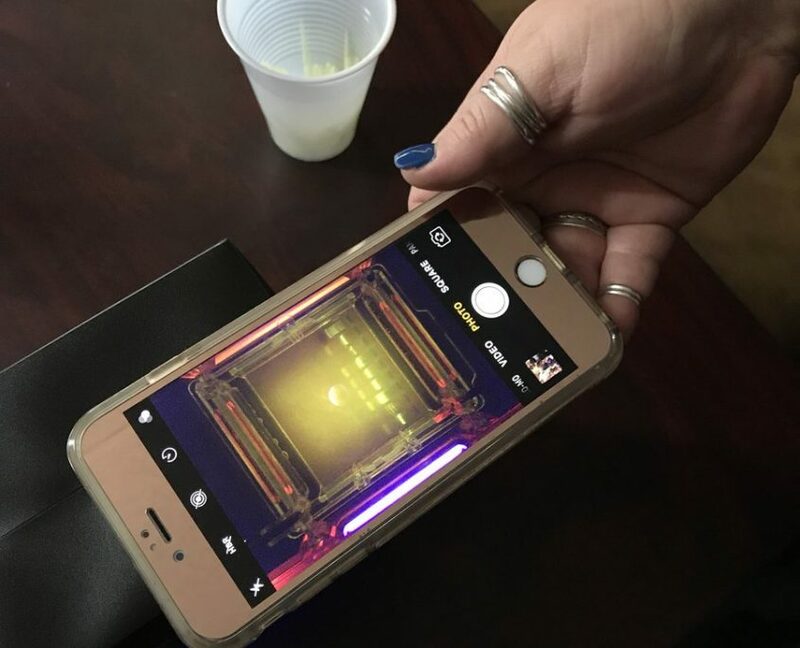 See photos from the Genes in Space workshop. 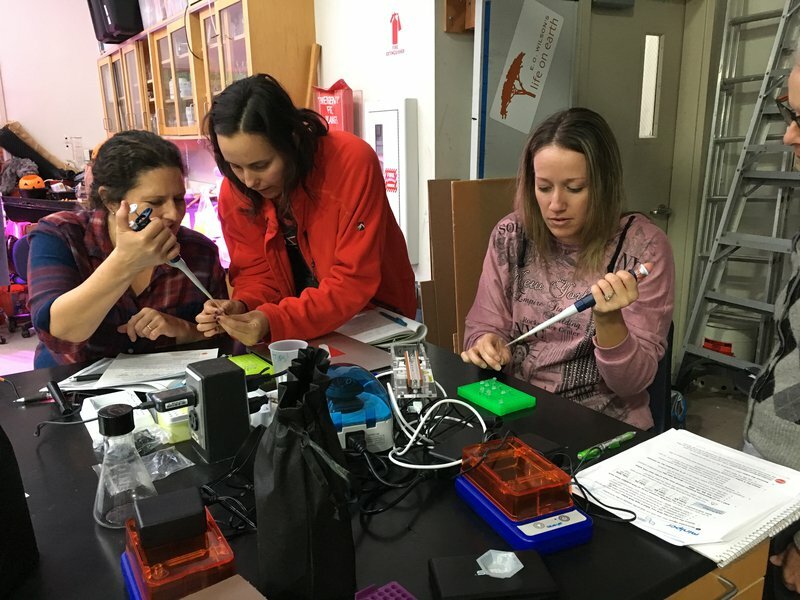 Learn more about hosting Genes in Space workshops.